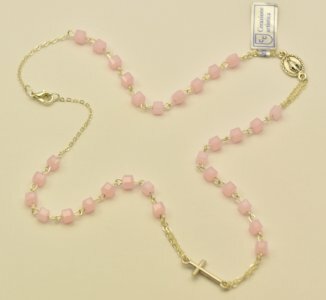 CATHOLIC GIFT SHOP LTD - Miraculous Rose Rosary Necklace. Stunning Rose rosary necklace with a cross and a miraculous medal. The length of this rosary necklace when closed is 23 cm. Square crystal topaz beads are 4 mm.